A line of people outside the doors continued to grow as it wrapped around the building as the staff, visible through the windows, rushed around preparing for the grand opening at 11 a.m. on Friday. Once doors of Dog Haus opened, people were greeted and handed menus, before they went to the registers to order a fully loaded plate of signature Dog Haus creations or to customize their own combination plate.! Dog Haus, a Southern California favorite for craft hot dogs, has just opened a new location in Northridge, Calif., down the street from the California State University, Northridge (CSUN) campus where the old IHOP restaurant used to be on Reseda Boulevard. The founders of Dog Haus – Hagop Giragossian, Quasim Riaz, and André Vener – began with an idea that within three years transformed into a continuously growing franchise with national acclaim. 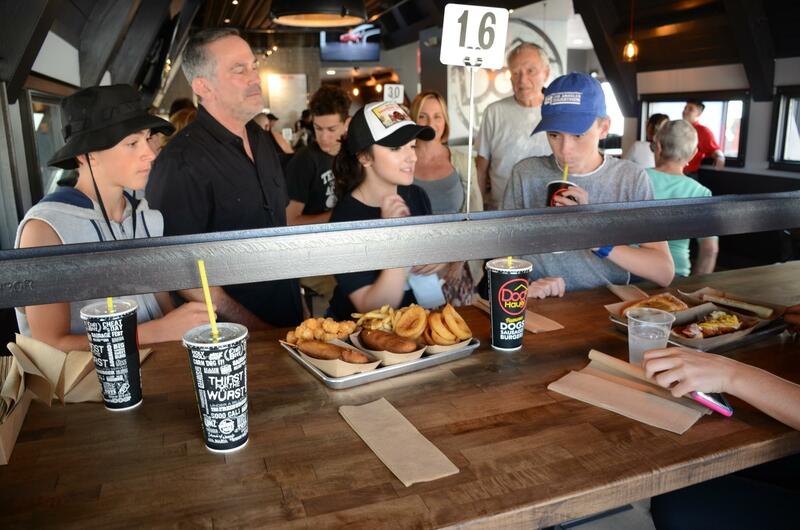 Dog Haus currently has locations open all around Southern California – from Canoga Park to Long Beach – and in other states like Arizona; and they plan to open more locations around the United States. Dog Haus emphasizes community engagement and support through the outreach programs which connects with organizations around the area, such as schools, churches, nonprofit organizations, and little leagues. 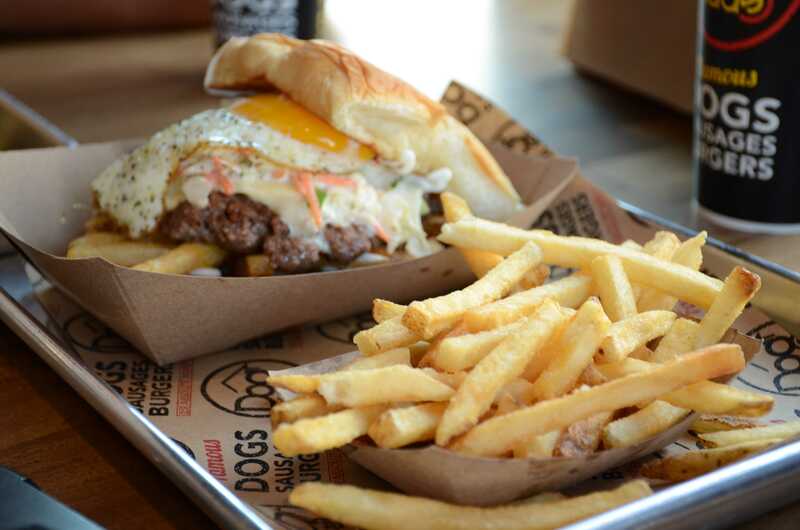 Dog Haus holds fundraisers at different locations and donate up to 20 percent of profits made that day to the organization they are supporting. 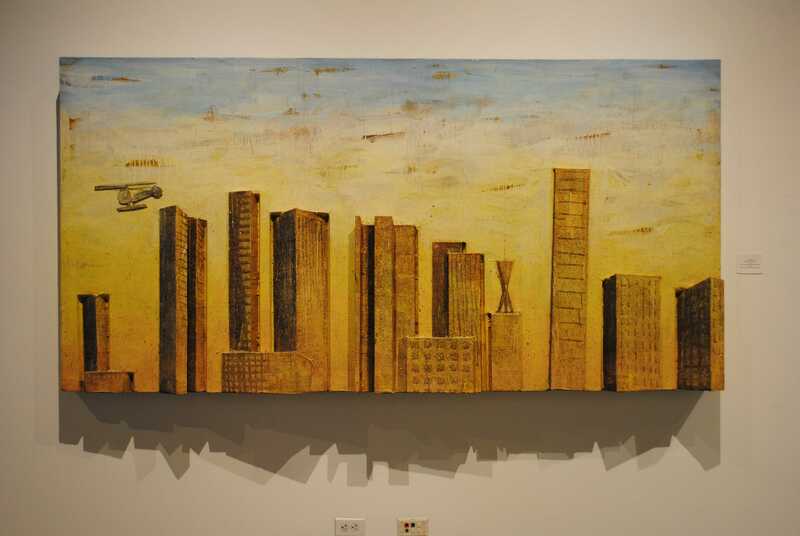 As of now, an outreach program for Northridge has not been set up, but will be in the future. Although Dog Haus is new to the neighborhood, it does not prevent people from stopping by to check out the scene, or more importantly: what is on the menu. The Dog Haus menu may vary depending on location, but essentially has the same items for customer or guest selection: all beef skinless Haus dogs, hand-crafted Haus sausages, a proprietary grind of chuck and brisket Haus burgers, sliders, sides and desserts. For vegetarians or vegans, there are veggie dogs and patties available upon request. Guests can purchase individual items or upgrade to signature Haus creation combination plates or customize their own with over 40 quality toppings. Some of Dog Haus’ most popular menu items tend to vary across the board, but overall popularity goes to these guest favorites: Old Town Dog, Das Brat, The Fonz, Holy Aioli and The Hangover. In the coming weeks, there will be a “biergarten” (“beer garden”) with 10 taps of craft beers and a selection of canned beers for guests 21 years and older., Dog Haus, however, is still in process for the beer and wine license.